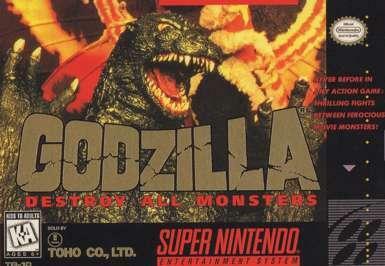 This game was supposed to be released in April 1994 by Nintendo and Toho. The serial code was discovered, and I found that the game was released in Japan as Godzilla - Kajuu Dai Kessen. The game is a Street Fighter 2 style fighting game.